Cassia Hardy has been making music as Wares since 2013 building a following with her frenetic live shows. She typically plays solo with just an electric guitar but sometimes, with the help of a full band, an audience will be lucky to see her turn the same songs into louder punk-rock statements. Her debut full length channels both sides of Wares and also features unexpected flourishes. The opener "City Kids" is a great example of all three. It starts subdued with whistling, acoustic guitar and quiet drums. Eventually some expertly placed saxophone arrives to introduce even more intrigue until finally the amps erupt and the song is transformed into a powerhouse. The track is a staple from her live set and the recording honours its live versions while still delivering something new to those that know it by heart. The record showcases Hardy’s uncanny ability to move a song from a leisurely, sing-a-long, Sunday driving ballad to fuzzed out, tire-squealing punk-rock. Hardy enlisted seasoned studio musicians to play and Calgary’s Lorrie Matheson to record which gives the album top notch production value. 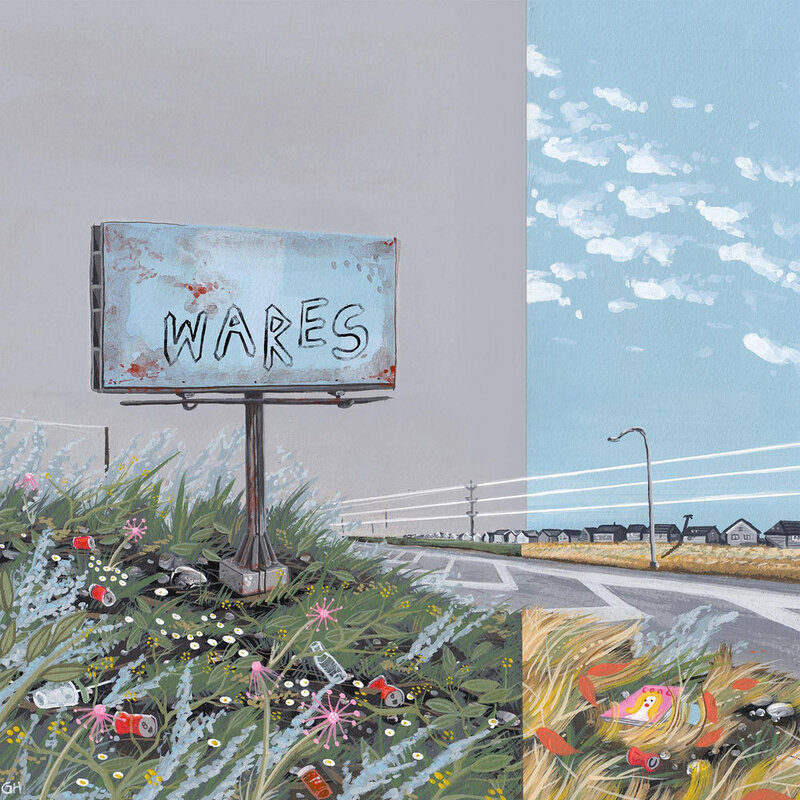 This decision was brilliant, hearing favourites from Wares live shows morphed into polished versions really showcases the songwriting depth far better than a low-fi recording ever could. Look out Edmonton! One of the cities best live acts has just released one of the best albums of the year.